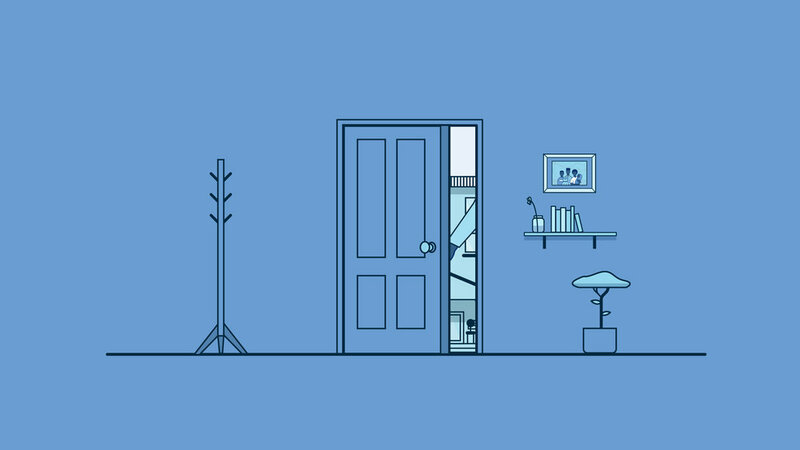 We partnered with JP Morgan Chase to create a series of educational animations highlighting their user-friendly experience and showcasing their finance services to make the complex world of finance less daunting. Mortgages, mobile banking, home equity lines of credit... there's a world full of choices for how you handle your finances. The problem is, sometimes you feel like you have to be an economics expert to understand the best of them. Oxbow partnered with JP Morgan Chase to create a series of four educational animations showing how to use their products and services, highlighting their user-friendly experience. Designing a consistent, yet unique and attention-holding style is always a challenge with serialized content. We dove into each individual storyline, creating unique characters and environments. We tried our best not to hum "I'm Blue" by Eiffel 65 while working. The series is filled with fun quirks and surprises - we wanted to keep the viewer engaged for the entire length of each animation, so they could absorb as much as possible about these fairly complex concepts. The series was distributed on Chase's social channels and educational platforms over the course of a couple months. From exclusively organic outreach, Chase amassed over 150,000 views and garnered an acquisition rate of over 50%.